You have invested the time and money into having your trade show booth designed and built to your specific marketing requirements. Now it’s time to make sure it stays in show ready condition at all times. Let’s go over some behind the scene services that can improve your exhibiting experience when you are between events. 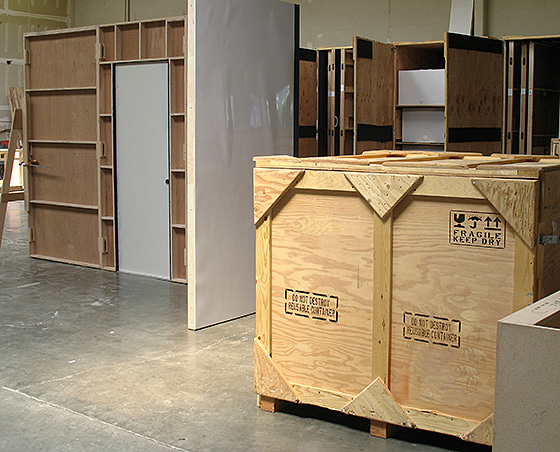 Exhibit storage can be one of the most critical parts of any exhibiting program. The services that are provided by a trade show storage warehouse will not only ensure your exhibit looks its best on the floor, but it will also guarantee that everything has been accounted for before, during, and after any event. That can save you time, money, and a ton of stress. One of the most unfortunate situations is discovering you are missing panels, graphics, bolts, and other critical pieces when your exhibit is being assembled at your exhibiting space. Trade show Storage management services will give you the advantage of having any issues resolved before your exhibit leaves the storage facility eliminating those unwelcome surprises. Trade show exhibit storage in a clean, organized, and temperature controlled location should be an integral part of any trade show program. 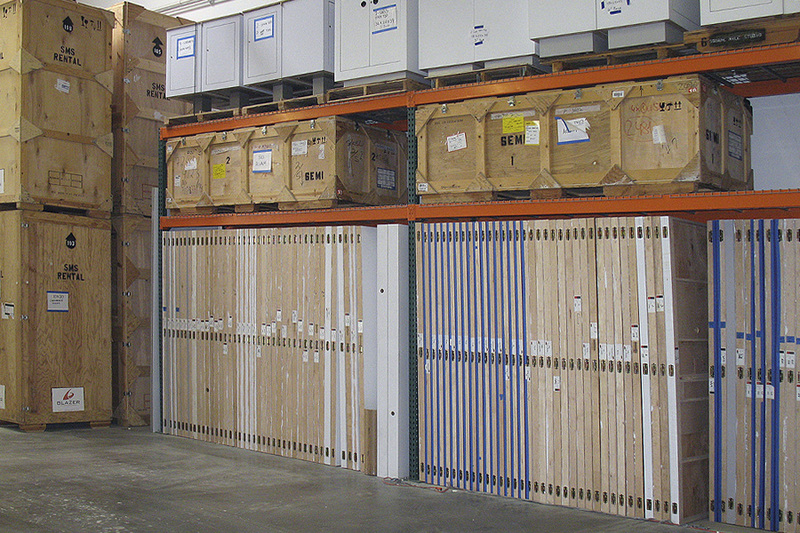 Using a business that has a solid understanding of trade show booth storage will have numerous advantages over generic logistic warehouses that many companies use. Dedicated Trade show storage locations will have organized areas for your crates and any flooring you may have to ensure your exhibit can be accessed quickly or at a moments notice. this gives your team the advantage to attend any last minute shows that you decide to attend. Managing your exhibit once your show is over is an important part of keeping your booth in top condition and having a focused team that oversees your trade show exhibit storage can make all the difference. This service will make your exhibiting experience enjoyable and stress-free. Quick access to inventory and the overall health of your booth will be easily accessed so you are aware of the status of any improvements or repairs that your structure may need. Pre-show setup and review of your trade show exhibit at the storage location is a massive bonus. Whether you review via photographs, live stream, or in-person – you can be assured your exhibit will be in top shape and arrive with no unexpected issues. This alone is worth looking into having your booth managed and stored by a professional team that is devoted to your trade show program and storage needs. Accidents happen and trade shows are no exception. In a perfect world, all of your exhibiting assets would be blemish free after every show, however, there is chance damage can occur on the show floor or while the venue labor moves your crates. Once your exhibit has been set-up after the show or the crates examined, you should get a report for your records. Missing or damaged parts and graphics is an unpleasant surprise at any time, in particular, if you are setting up at your next venue. This can be a massive inconvenience that takes you away from preparing for the event itself. Having the detailed reports come in handy when reviewing your booth before and after the show. Detailed reports showing every bolt and graphic that you can quickly access and review is a huge bonus allowing you to get any problems addressed before it becomes an emergency. This allows you to focus on other tasks instead of tracking down and resolving problems on the show floor. Having a trade show storage team go over your exhibits report give you the option to have any damaged items repaired or work parts refurbished. You should be provided multiple options to help resolve those unfortunate dings, dents, and items that may not have functioned to your expectations. It is a possibility you just want to add some new shelving or change the location of your storage, this is the best time to make your exhibit perform better for your upcoming shows. The advantages that you receive really make having a trade show storage team a logical conclusion. Knowing where your booth is at any time, and understanding the condition of your exhibit before and after shows is an invaluable asset and one you should strongly consider if you are struggling to handle the storage and services yourself.